I’ve been wracking my poor little brain over what to do for Dad. I’ve got Mom’s pressie all ready to go but no clue what to do for Dad then as I was tag surfing earlier it hit me – DUH. When is the last time you saw him go outside without a hat when it’s below 40 outside? uh… well… not sure that I’ve ever seen that, come to think of it. I remember the whole fedora thing which must have been the late 60’s, a variety of knitted caps that followed then fur things with ear flaps, some rather dapper, a few beyond uhm shall we go with ‘not entirely attractive.’ I wish he wore Stetson’s like my grandpa (his father) did. In fact, some of the most famous portraits of him are with one of his Stetsons. Somehow, Dad missed that gene. However, it does make my mission a bit easier. There is no chance a 40 something laid-off job-seeking temp-working daughter can buy a new Stetson. 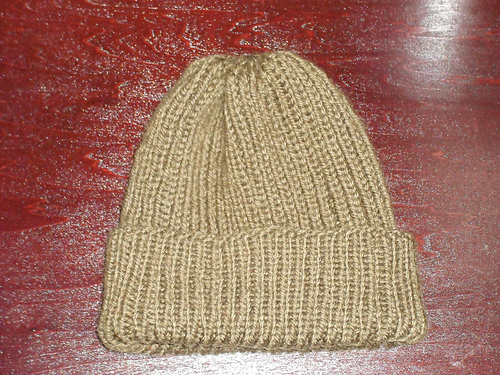 There is a very good chance though that said daughter can knit a hat in the next 2 weeks. Or 3 weeks. Dad’s birthday is 2 Jan so it is possible, not encouraged, but possible, to combine Merry Christmas with Happy Birthday. 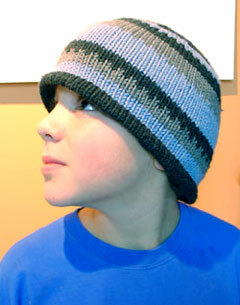 This entry was posted in knit. Bookmark the permalink. looking forward to seeing which you choose! I’m going to be ravelry surfing too. 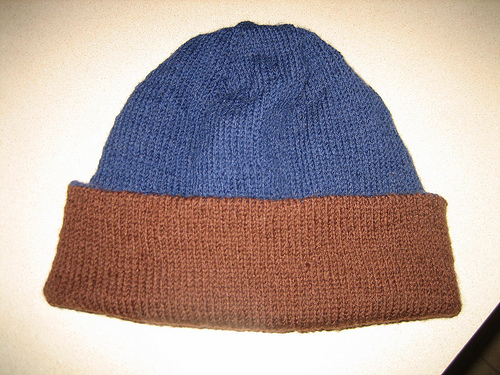 I want to knit a hat for my husband, he’s feeling the cold on his bald spot! I like the idea of a reversible one though.